Though mold is necessary for the decomposition of organic matter in nature as well us making brie and penicillin, it can also be worse, especially when it grows undetected in your home. Mold can grow anywhere, on clothing, a carpet, food, paper, and even in places you can’t see, such as the backside of drywall, areas inside walls around leaking or condensing pipes, and above ceiling tiles, on roof gutters and pipes; as long as there are organic material, moisture, and oxygen present. Molds interfere with the longevity and aesthetics of items. They also produce allergens and irritants that affect your skin as well as cause breathing problems. Mold growth can thrive best in places with higher humidity. Therefore, a strong, musty odor in a room or building is a sign of a possible mold problem to be addressed. Mold spores spread very fast, and not only is a mold problem difficult and costly to fix, but it is also not easily eradicated. Hence, the best approach is preventing mold before it becomes a problem. Moisture control is the most important aspect to observe if you intend to avoid molds. Is your home infested with instances of mold growth? Are you worried about the faster spreading of molds in your items? Is moisture control a problem in your home? Do you want to breathe fresh air in your building again? 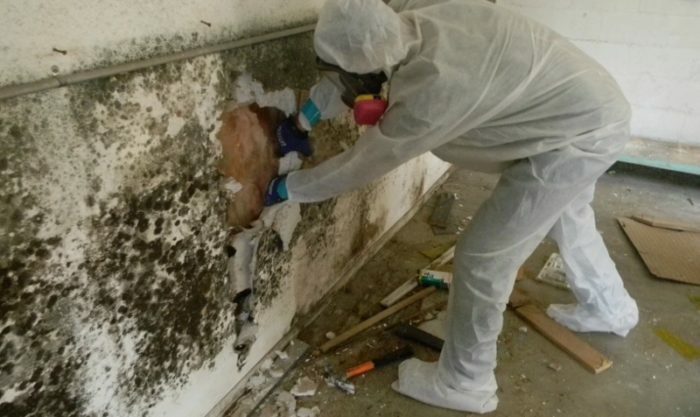 If yes, take a step and contact Miami Dade Mold Removal Company, we offer the best mold removal services in an organized way, and we can assure you we are just a phone call away and the mold problem will be a forgotten case. – Use Mold-resistant products; when building, you can use mold-resistant products like mold-resistant drywall or mold-resistant Sheetrock as well as mold inhibitors for paints. Moisture-resistant drywall is especially valuable in areas prone to wetness, such as basements, bathrooms, laundry rooms, and kitchens. Develop the core of the drywall in a way to prevent moisture absorption, and consequently mold growth. – Dry, wet areas within the shortest time possible; Flooding or seepage into the basement, accumulation from a leaky pipe, even a spill on the carpet, maybe the best thriving ground for the growth of molds. Dry any wet surface within 24 to 48 hour. Remove any water-damaged carpets, bedding, and furniture if they can’t be thoroughly dried. Avoid leaving wet items lying around the house or in places where mold can spread quickly. – Ensure there is proper drainage around the home or building; If the ground around your building is not sufficiently sloped away from the foundation, water may collect there and seep into your crawlspace or basement. – Enhance Proper ventilation and improve airflow in your home; Increase circulation, open doors between rooms and move furniture away from the walls to let in fresh air, reduce humidity and keep mold at bay. Moreover, provide adequate ventilation in your bathroom, kitchen, laundry room, and any other high-moisture to assist in the prevention of mold growth. Vent appliances that produce moisture like clothes dryers and stoves to the outside. Use AC units and dehumidifiers especially in humid weather as you follow the manufacturer’s instructions. Miami Dade Mold Removal Company is at your service all-round the clock. Observing high ethical standards, we will inspect your building to identify the problem, and our team of experts using the latest technology will treat, find the best way to contain it and restore your premises to a better condition than before.